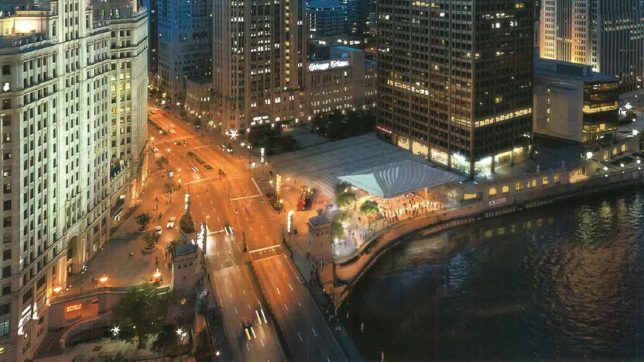 Construction is in full swing on Chicago’s new Apple store by Foster + Partners, revealing a surprise design feature that wasn’t visible in the firm’s early renderings: a gigantic MacBook for a roof. When the project was initially unveiled in 2015, the drawings depicted a sleek two-story structure with river views, glass walls and a slimline roof canopy that looks like it’s precariously balancing on slender supports. But construction crews recently added a shiny metallic silver finish to that canopy – and a familiar white Apple logo. 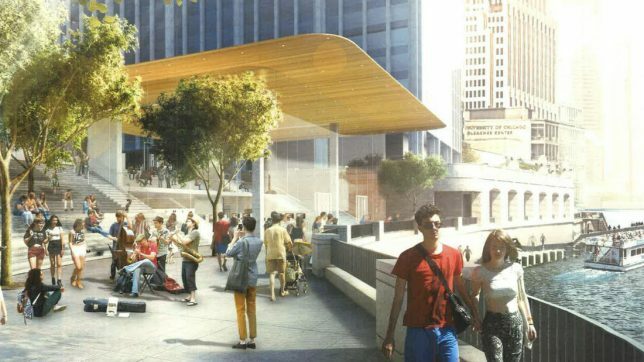 The store is a relocation of Apple’s Chicago flagship, and will measure about 20,000 square feet. 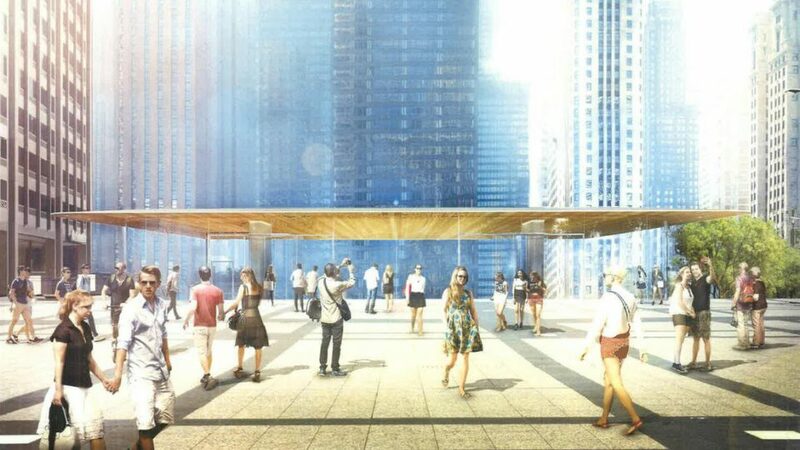 The glass walls range from 14 to 32 feet in height, but there’s little danger of breakage, as they consist of four layers of half-inch-thick glass melded with additional layers of thicker laminated glass. The carbon fiber roof is made of a similar material as yacht hulls, which is what gives it that iconic sheen. It’s four feet thick in the center and just four inches thick at its tapered edges. You can see this unexpected addition in action in the video above. DNA Chicago reports that crews affixed the logo and left it in place for no more than 60 minutes before removing it again, but it seems likely that it’ll return, especially since the Chicago Tribune reported back in March that the logo would be part of the design. 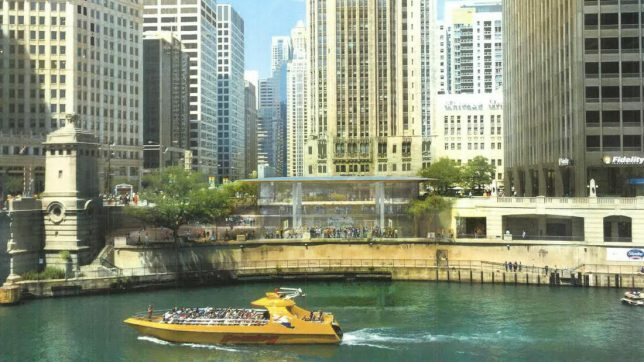 The Tribune has more photos of the construction process.